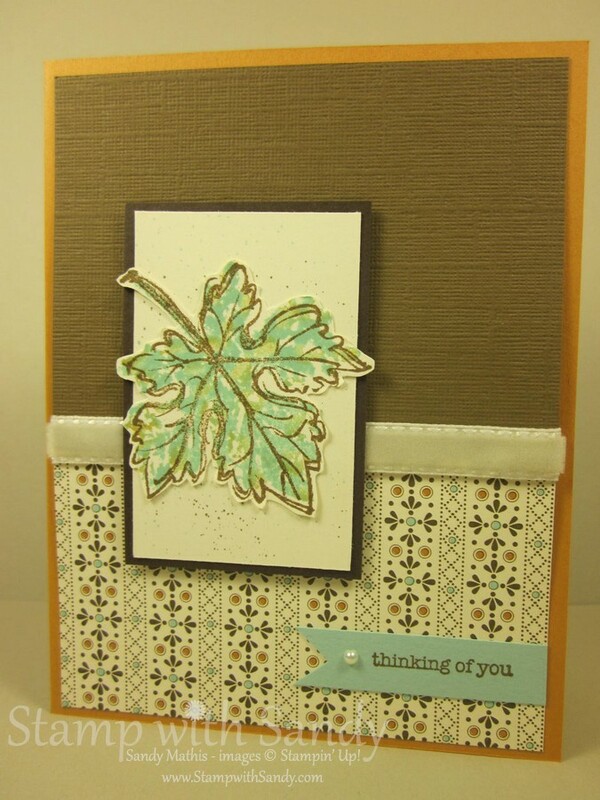 This is another card my techniques class made the other night. It was a markers techniques class. Two techniques were demonstrated here: Thumping (with a twist) and Spritzing with the Color Spritzer Tool. 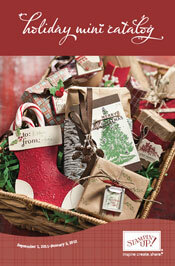 We used the Gently Falling Stamp Set which is offered in the new Holiday Mini Catalog. The step one stamp of the two step Gently Falling Stamp set was inked with Pool Party ink. Then, a More Mustard marker was tapped and rolled (that's Thumping with a twist) over the already inked stamp. Then you can huff on it a little to re-moisten it, if necessary, and stamp on Very Vanilla Card Stock. 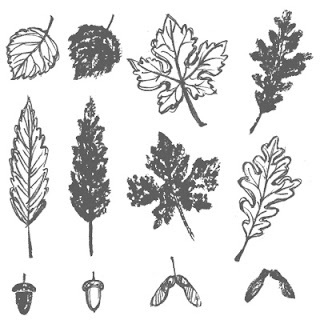 Use the step two stamp inked in Soft Suede for the outline and cut the leaf out. 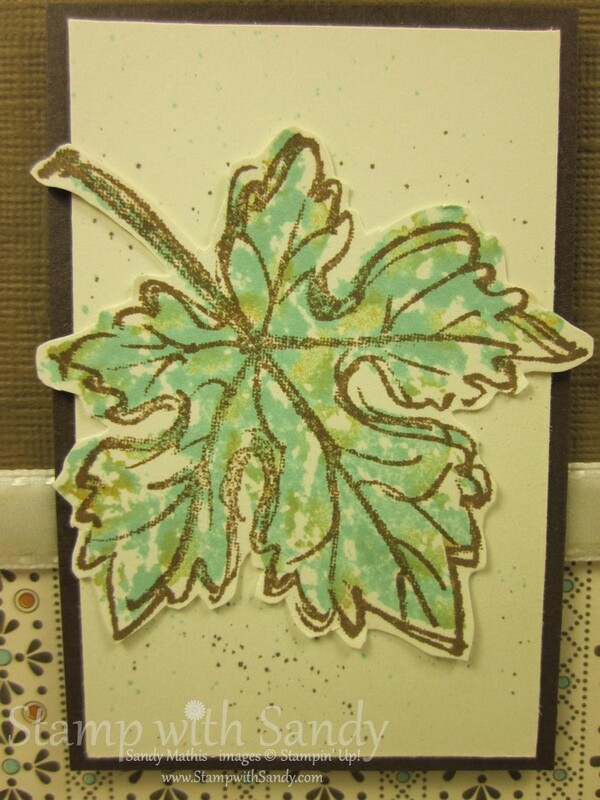 The background behind the leaf was spritzed with Pool Party and Soft Suede markers. Sandy, this is awesome! I love the marker technique and I'm going to have to try this! Love that ribbon too! !